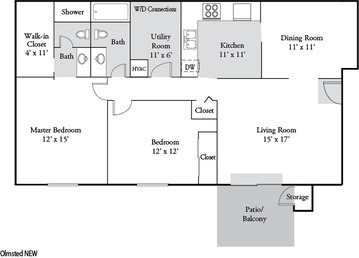 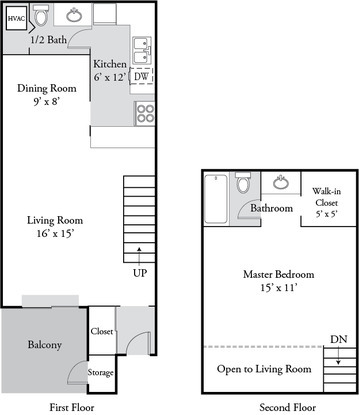 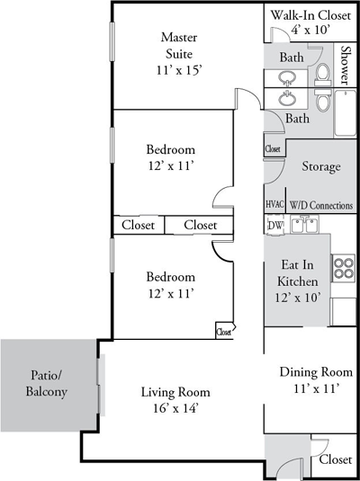 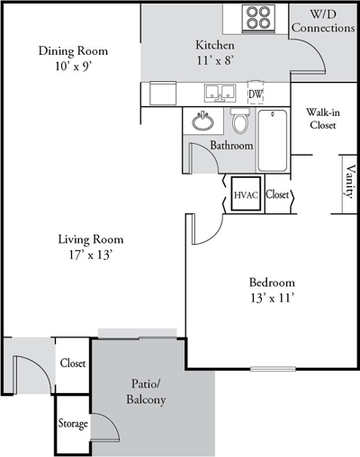 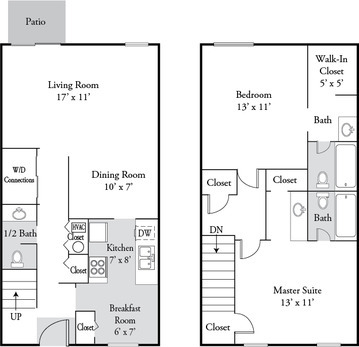 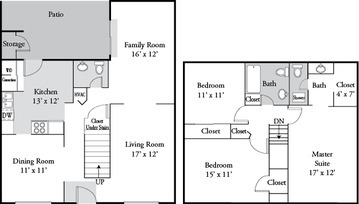 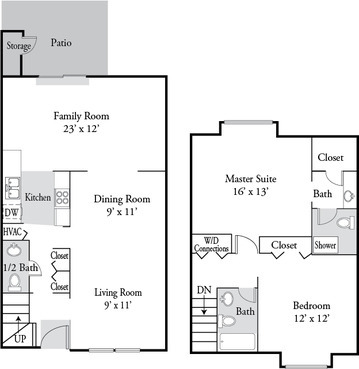 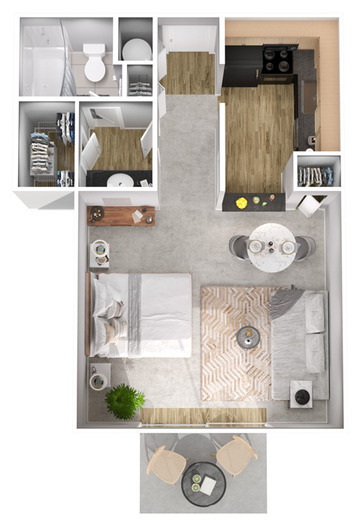 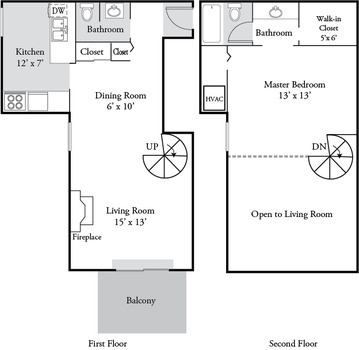 Plainview Apartments' unique floor plan layouts range from stylish studios and one-bedroom lofts up to spacious three-bedroom townhomes and are all designed to fit your needs, whether you are living by yourself, with roommates or your family. 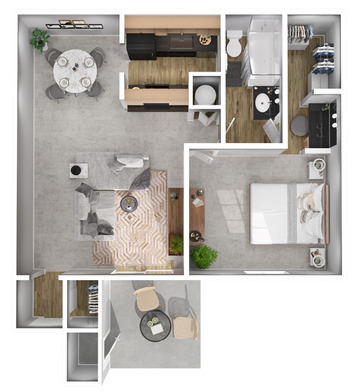 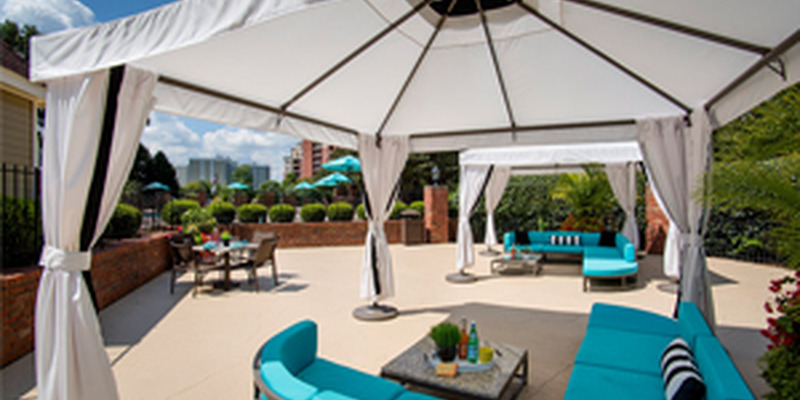 Custom interiors include designer lighting, fully equipped kitchens with black granite counter tops, maple cabinets, built-in microwaves, spa-inspired baths with garden soaking tubs, large walk-in closets, dining rooms, as well as fenced-in patios and balconies with additional storage. 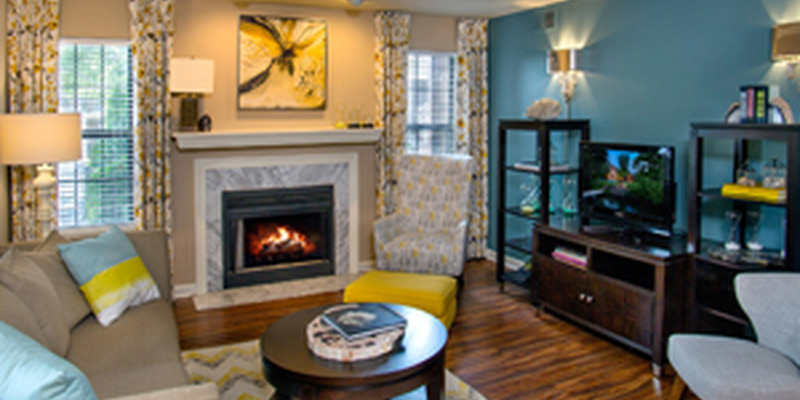 You can also personalize your living space with the optional accent wall program. 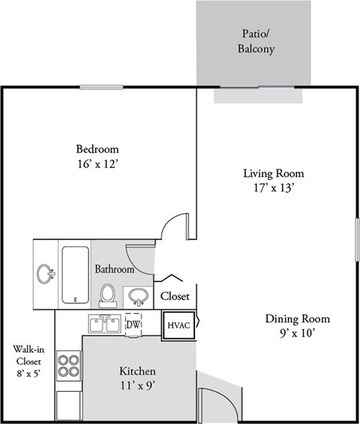 1 bedroom loft townhome, 1.5 bath, 772 sq ft.
2 bedroom, 2 bath, 1032 sq ft.
2 bedroom townhome, 2.5 bath, 1090 - 1225 sq ft.
2 bedroom, 2 bath, 1179 sq ft.
2 bedroom, 2.5 bath, 1328 sq ft.
3 bedroom, 2 bath, 1361 sq ft.
3 bedroom townhome, 2.5 bath, 1610 sq ft. 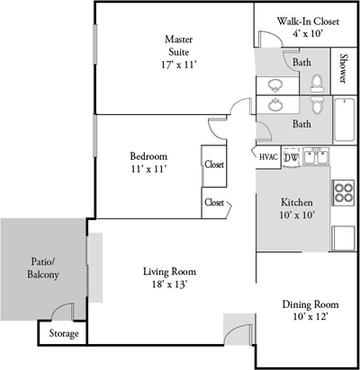 Lease terms of 6-15 months offered. 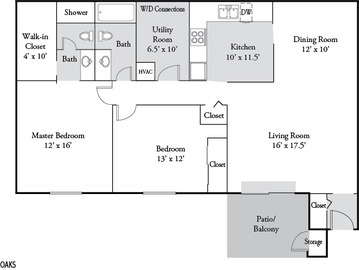 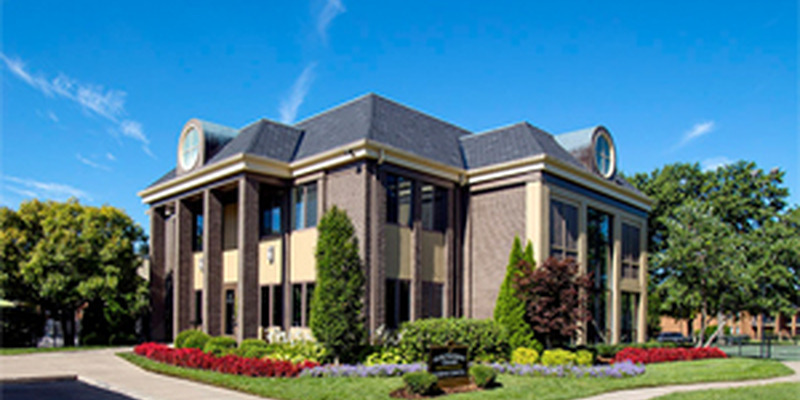 All lease terms under 10 months require a $75 short-term fee.